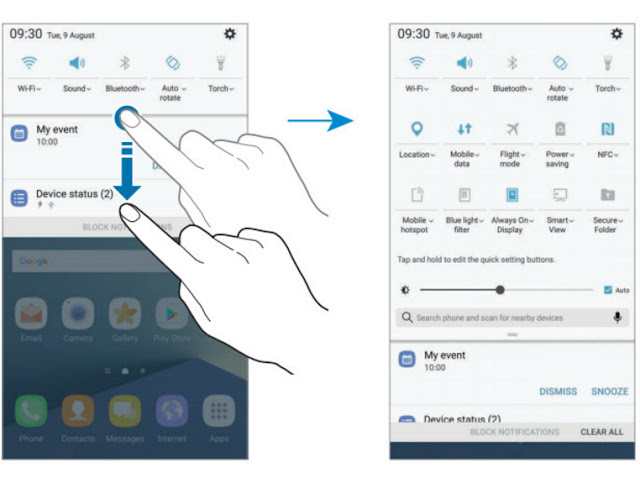 Samsung devices are well known for the level of complexity inherent to their custom TouchWiz interface. 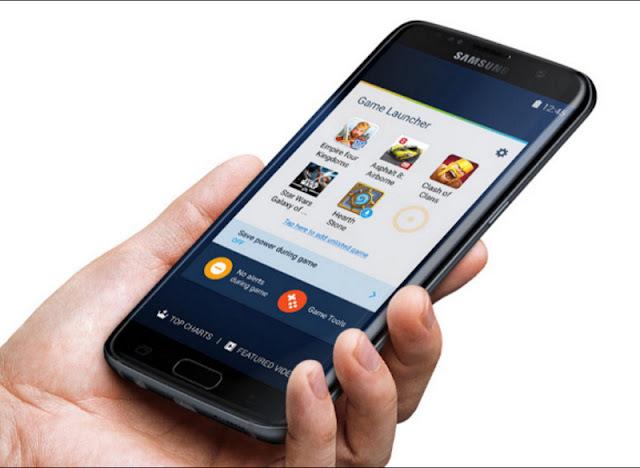 As these kept piling and piling over the years, back in 2015 Samsung decided that it's time to ease up and heeded the opinion of TouchWiz dissenters for a more lightweight interface. This brings us to today and the Note 7, which honestly feels much more thoroughly thought out in terms of its software. 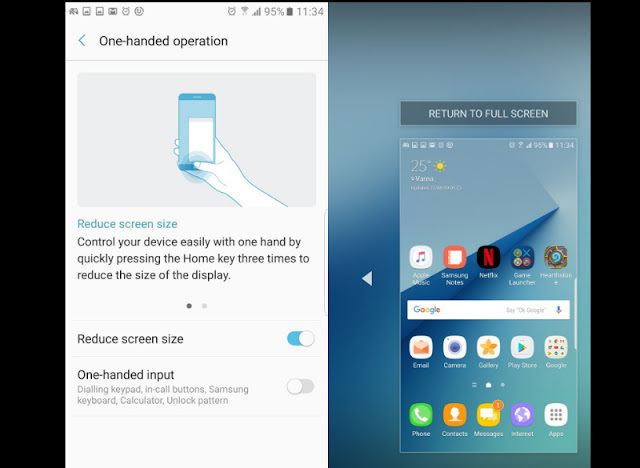 If you think that that means Samsung hasn't included just a bucketload of features with its new extra-large smartphone, however, you'd be terribly wrong. In fact, after getting our hands on the manual to explore even further for interesting pieces of functionality, we felt overwhelmed as per usual. 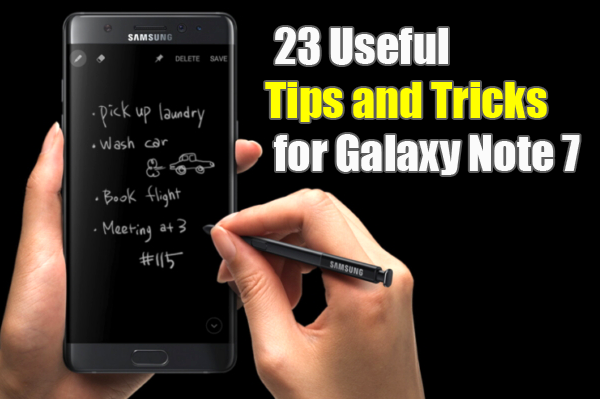 But if you're interested in the Note 7, then extra features are a welcome addition and not necessarily a downside. This piece, in other words, is for those people. 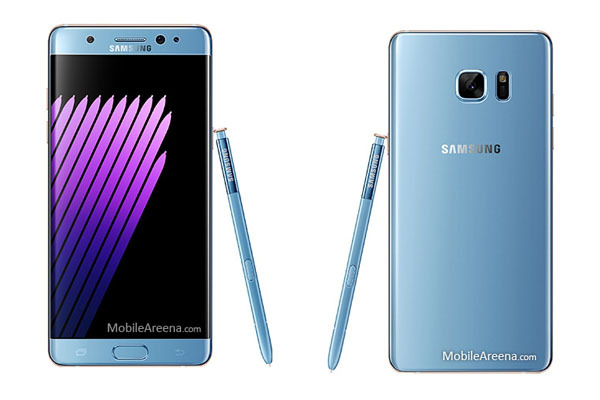 Here are X potentially useful features of the Note 7, some of which not at all obvious. 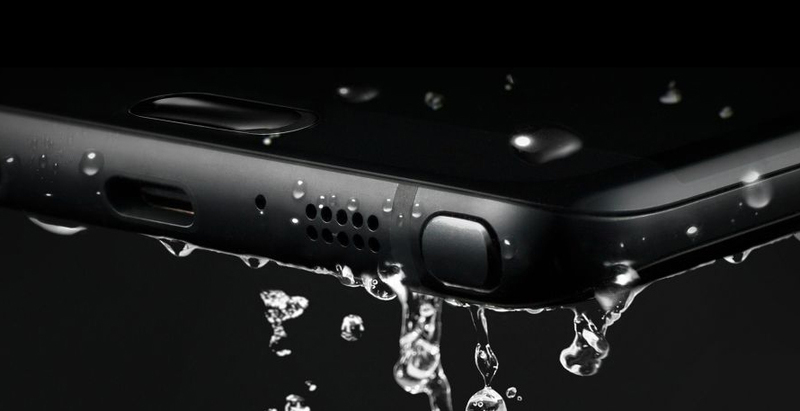 Many of you will be well aware that the Note 7 is IP68-certified, meaning it's dust-tight and water-resistant. But to assume it can handle any kind of water in any kind of condition, and at any kind of depth could spell serious trouble. First off, remember that the resistance will hold only up to 1.5 meters of depth and for up to 30 minutes. Keep in mind also that unless it's been submerged in clear water—say salt water from the beach—you need to clean it with... well, clean water, before letting it dry. Do keep in mind also that the IP68 certification was granted after the Note 7 held up in water between 15 and 35 degree Celsius. In other words, there's no telling the consequences if you submerge it in ice-cold or scalding-hot water. Finally, do keep in mind that the certification was obtained with still water being the environment. 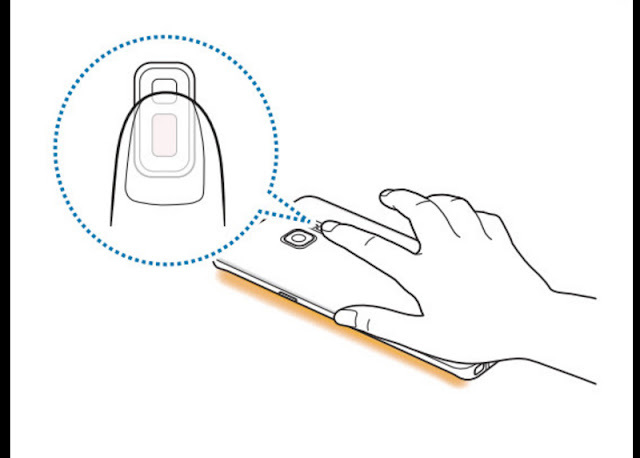 Strong currents or any water-moving force may damage the device! 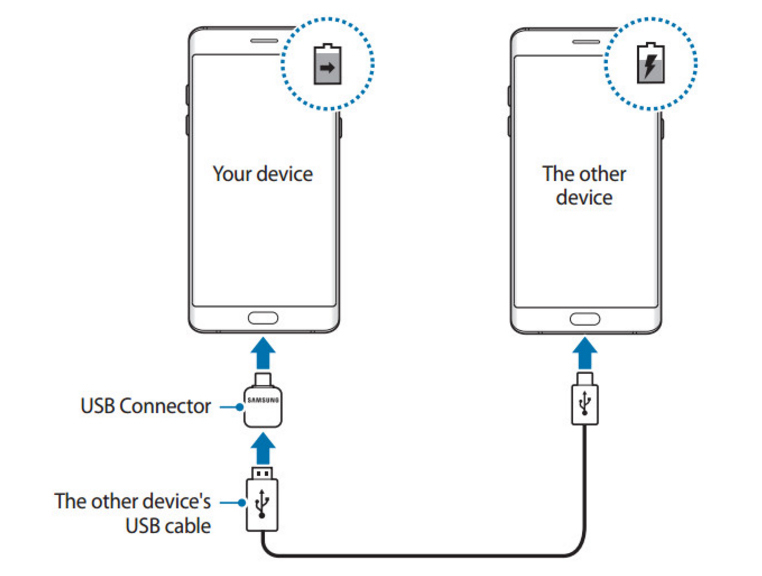 Samsung has included a USB adapter in the box with the Note 7, allowing you to plug it directly into the device itself, and attach a USB to microUSB cable on the other end. 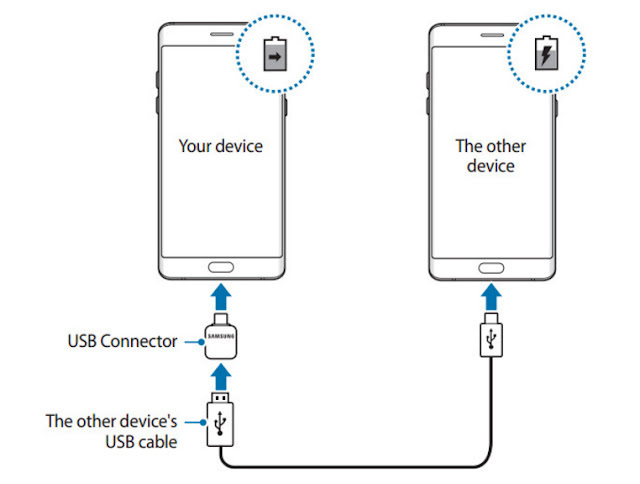 Doing so will allow you to connect another device on the other end and transfer charge from the Note 7 to it. So keep that little dongle around! The Note 7, like many other recent Samsung devices, comes with Qualcomm Quick Charge 2.0-compliant wall charger. 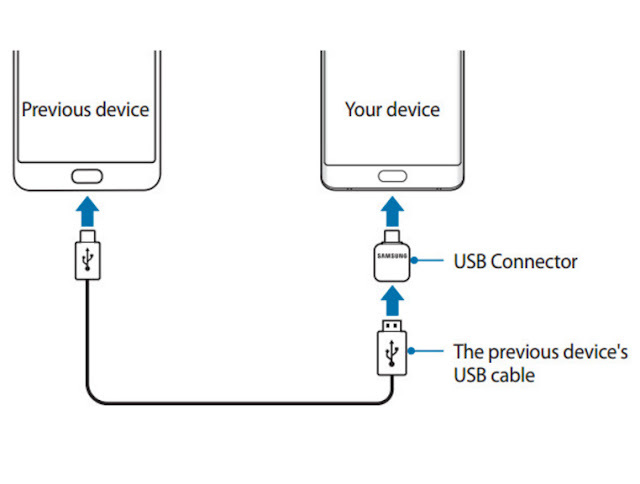 This means it supports 'Fast Charging'. To make use of it, ensure that it's active (Settings > Device maintenance > Battery > Triple dot menu > Advanced Settings > enable Fast cable charging). 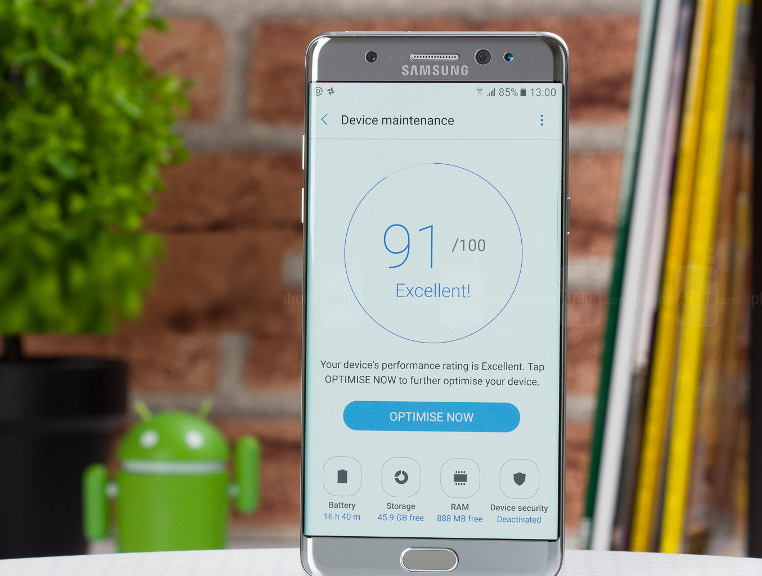 Samsung has reworked its power saving features with the Note 7 and now offers more customization (and power saving potential) than before. 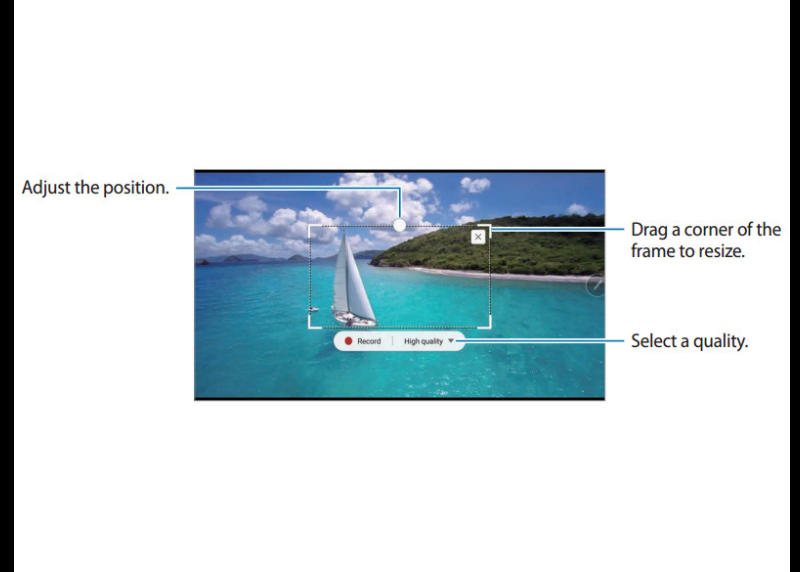 For example, you can lower the screen resolution down to 720p or 1080p, with the latter being a nice choice for long-term use. Obviously, if you're looking to save every last drop of charge, you can still use the 'Maximum power saving' mode, which is what Samsung has taken to calling the Ultra Power Saving Mode of old. While some people love the feel of a freshly-booted up Android with nary an app or files installed, for many of us switching phones is sort of a hassle. You have to reconnect accounts, perhaps transfer photos and personal files, books, documents, the list goes on. It's all doable, and there are many ways to do it, but with the help of the aforementioned USB dongle, it's pretty easy. Just plug the dongle into the Note 7, connect the other end of it with the USB to microUSB cable from your old device, and an app window will launch. Tap Smart Switch > RECEIVE and tap ALLOW on your old smartphone. That's it! With stories of massive hacks doing the cycles on news everywhere, it's only natural that some of us would feel a little more paranoid than in the past. 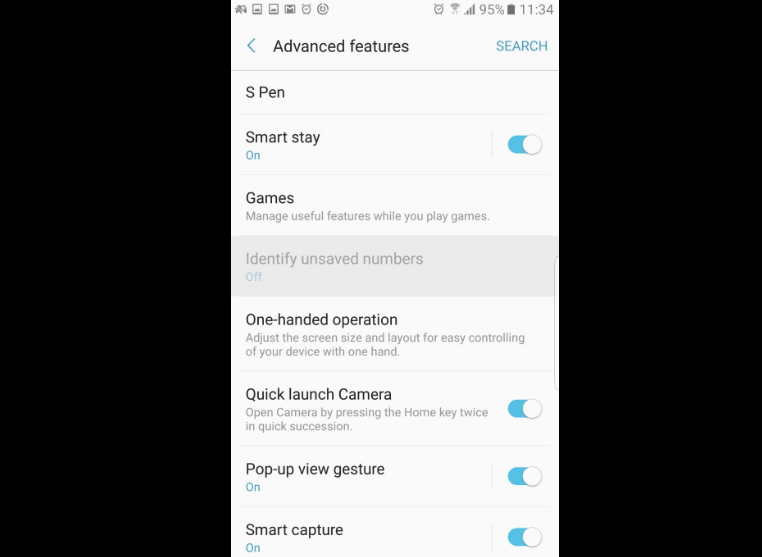 For those people, Samsung has included the Auto factory reset feature, which will automatically wipe your phone if a number of wrong attempts to enter the pass code are made. Definitely not a feature for everybody, but hey, if you feel you have really valuable information stored on your smartphone, this might be what you're looking for. 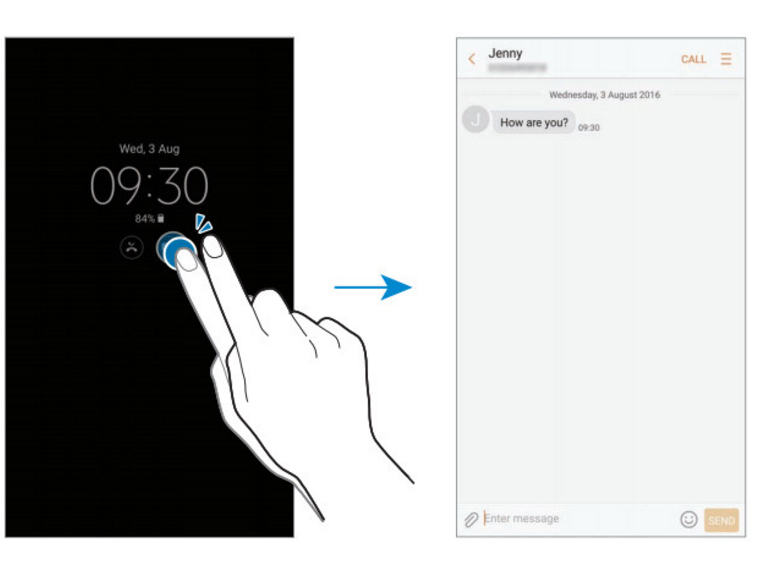 The Always On Display feature leaves the screen on (in a lower-power, grayscale mode) even when the device is powered off, giving you at-a-glance information such as time and notifications. If one of the latter catches your attention and you'd like to action it, you don't have to unlock the phone and seek it out manually—just double tap on it to explore! 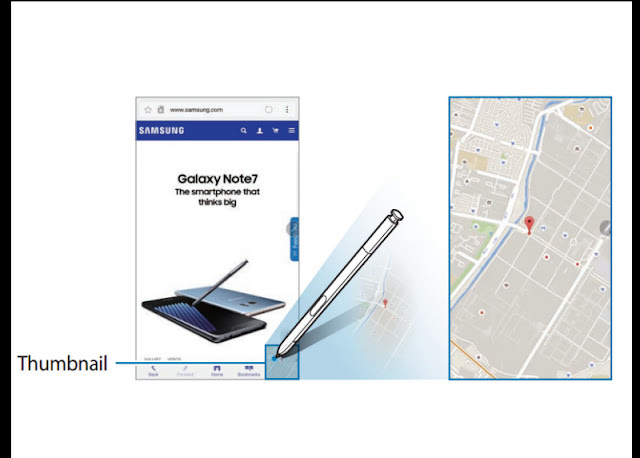 (Doesn't work with S Pen, by the way). 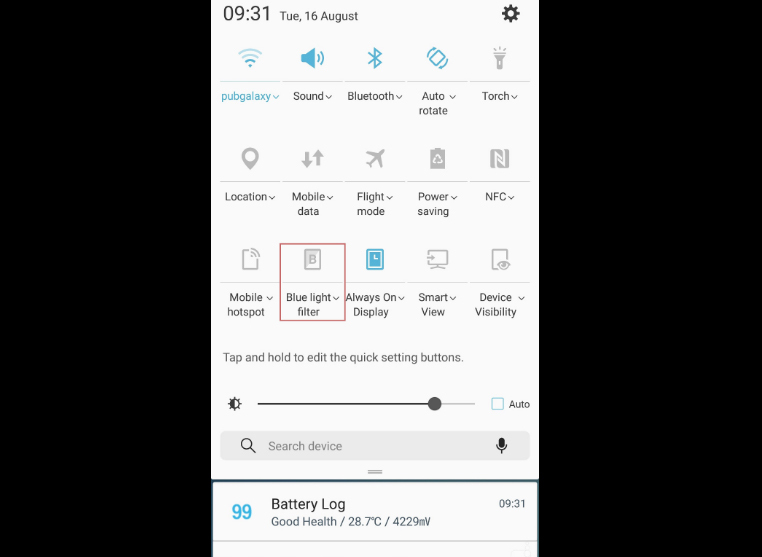 Quick settings are the row(s) of toggles available in the notification menu. With the Note 7, if you swipe down to expand the Quick settings pane, you'll get access to a Search feature. This allows you to search for any files quickly and easily, instead of having to hunt them down manually through My Files, for example. Even better yet, you can actually set search categories to better filter out results. Speaking of the Quick settings pane, users will likely be quick to stumble upon a toggle called Blue light filter. This feature is based on research suggesting that the blue light emitted from a display could be affecting our ability to fall asleep soon after. This is obviously a big issue if you consider how many among us love to spend time flicking through their smartphones before bed. So turn it on next time you hit the sack—the display won't look ideal, but it's better for you. 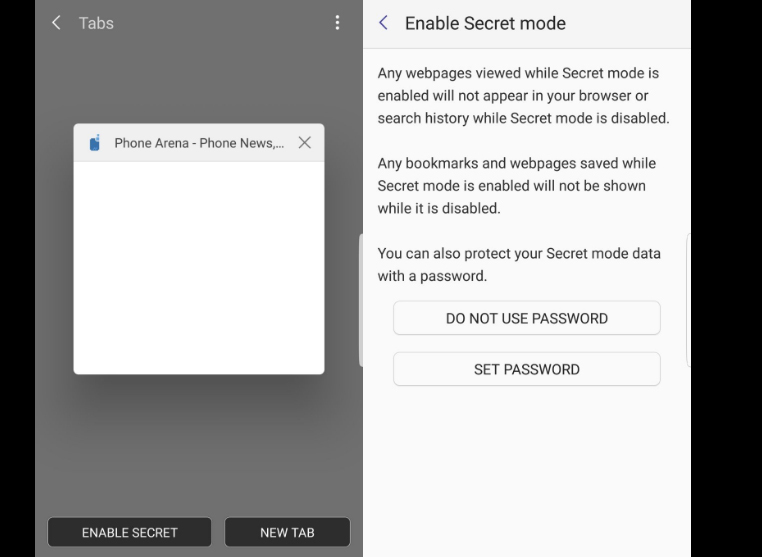 The built-in browser (called simply Internet) on the Note 7 comes with a special mode called Secret. In it, you can host an entirely different catalog of tabs and even ensure access to it is password protected, *wink*. To activate, go inside Internet > Tabs > ENABLE SECRET. 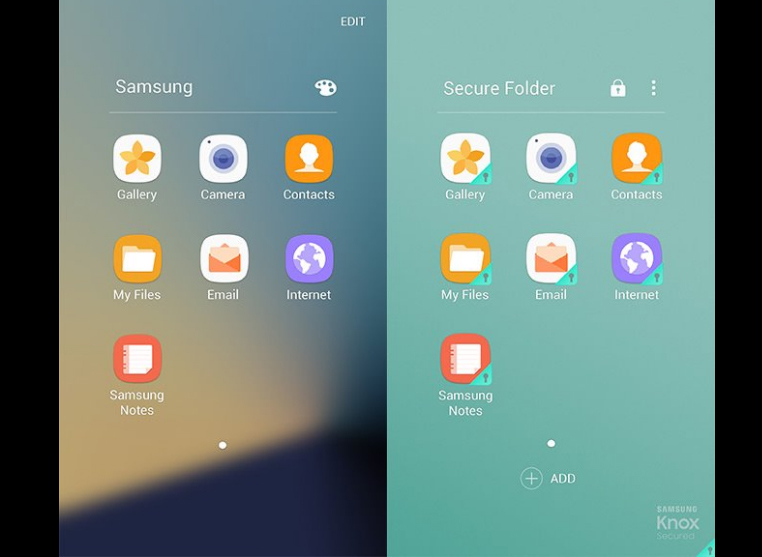 If you've read through a few Note 7 reviews so far, you're probably aware of it new Secure Folder feature, which allows you to store and password-protect sensitive content. What you may have missed, however, is that you can store entire instances of apps you already have installed, complete with separate accounts for them. This makes for a pretty neat feature for people looking to separate work and life, or unleash your rad alternative personality on the internet. In some regions, the Note 7 is making use of publicly available directories to automatically identify unknown numbers that you haven't manually saved to your phonebook—for whatever reason. To enable this feature, go to Settings > Advanced features > Identify unsaved numbers. While Samsung has done an absolutely awesome job keeping the dimensions of the Note 7 in check relative to its size, it's still a big device that is awkward to work with just one hand. That's where One-handed operation comes in. To active, go to Settings > Advanced features > One handed operation. This will allow you to re-size the interface to a desired size and activate with an easy gesture. 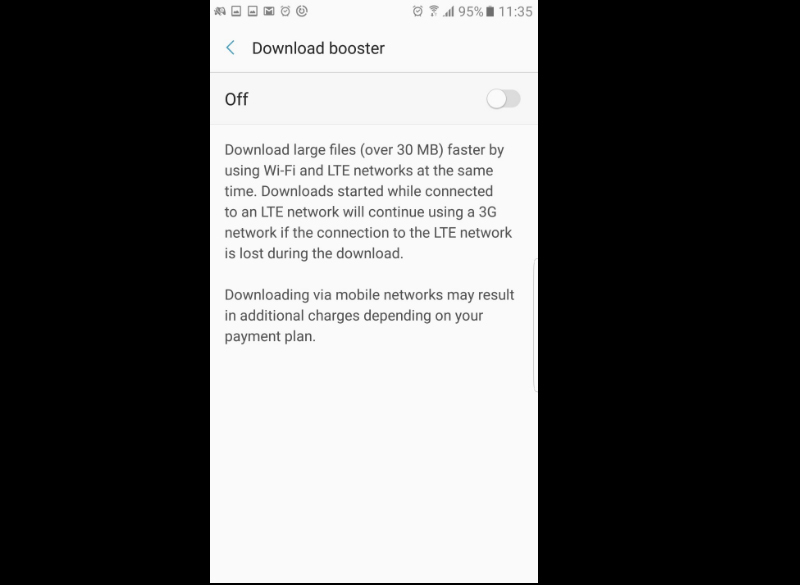 Download booster isn't a new feature exclusive to the Note 7, but we often discover that friends and family are unaware of it. 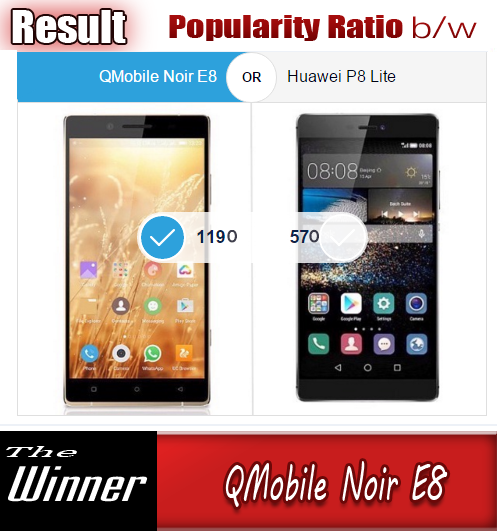 What it does is combine your mobile and Wi-Fi networks to deliver faster download speeds, so long as they don't differ significantly. To active, go to Settings > Connections > More connection settings > Download booster. Another feature Samsung die-hards will be aware of is the new Game Launcher that debuted with the Galaxy S7 and S7 edge. You can learn more about how to make the most out of it HERE. 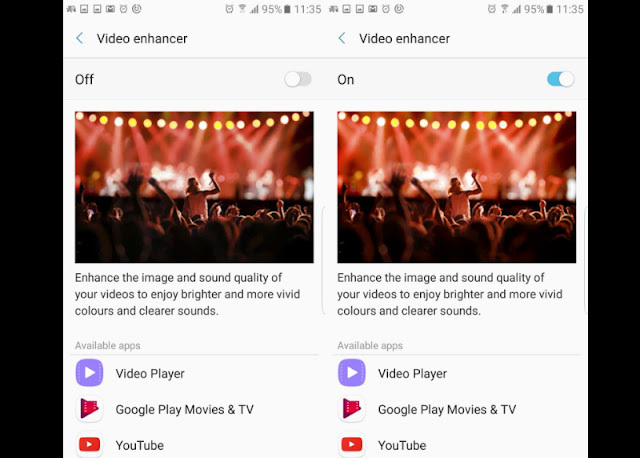 Video enhancer is a feature so far exclusive to the Note 7, allowing you to improve image quality within various video apps. 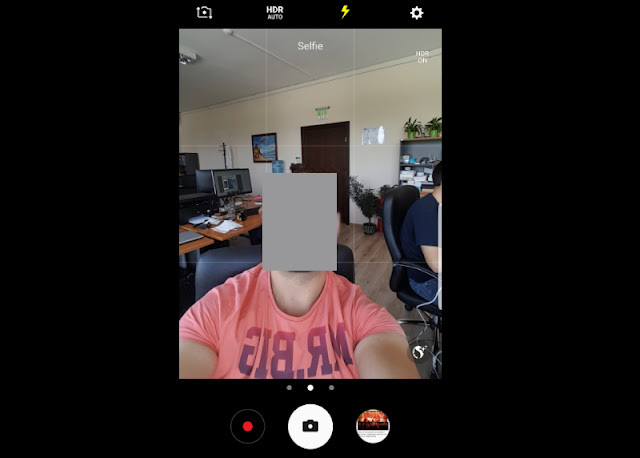 With the feature on, brightness and contrast are boosted, and audio quality is optimized. We're still in the process of testing this one out ourselves, but you're free to give it a go and see if you like the results (our initial findings were positive). To active Video enhancer, go to Settings > Advanced features > Video enhancer. Taking cue from Apple and other Android makers such as LG, Samsung has improved upon its selfie camera by adding a pseudo-flash for them club shots. This is possible not because a separate LED flash has been place up front, but because the screen lights up extremely bright for a second, imitating the effect of an actual flash. We've tested this, and it's worth having it on in most dark environments. To enable Selfie flash, go inside the Camera app, flip to the front camera, and set the little lightning icon to on (it becomes yellow). Alright, so let's hope you never get to use this one in actual need, but it's important to know it's there just in case: Emergency mode. 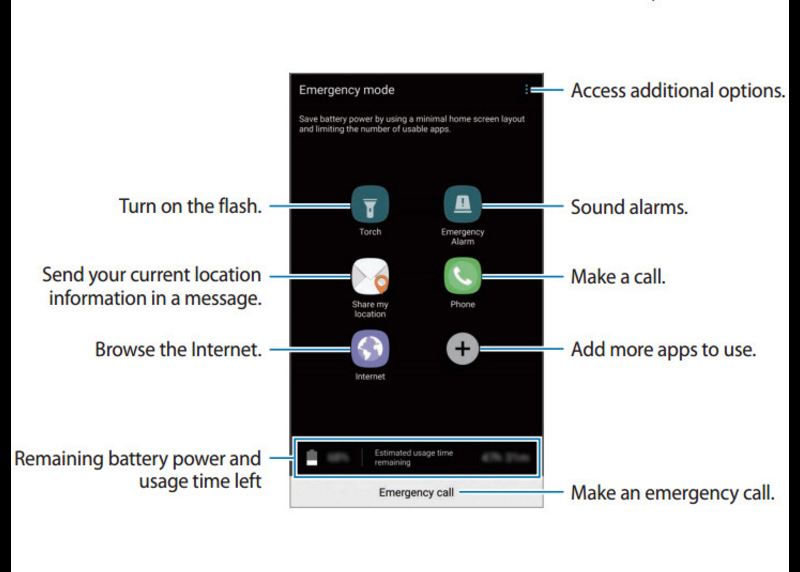 A lot alike to Ultra Power Saving Mode (which is no longer called that as we've already mentioned), Emergency mode can come in handy if you're unlucky enough to find yourself in real trouble. 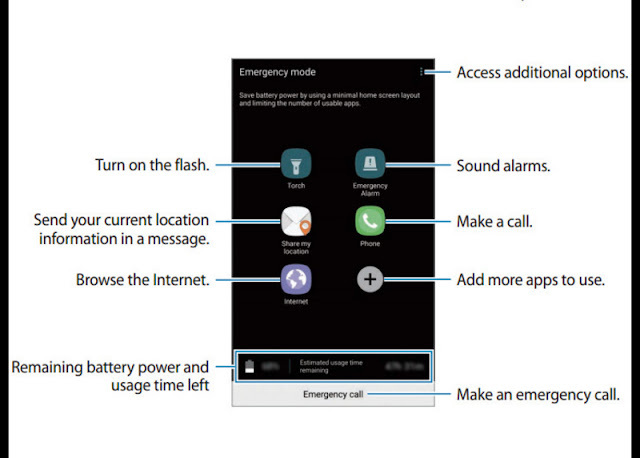 To enable it, just press and hold the Power key on the right and then select Emergency mode. If you're one of them people that prefer to have their phone sat on a table face down (we're judging you, just so you know!) 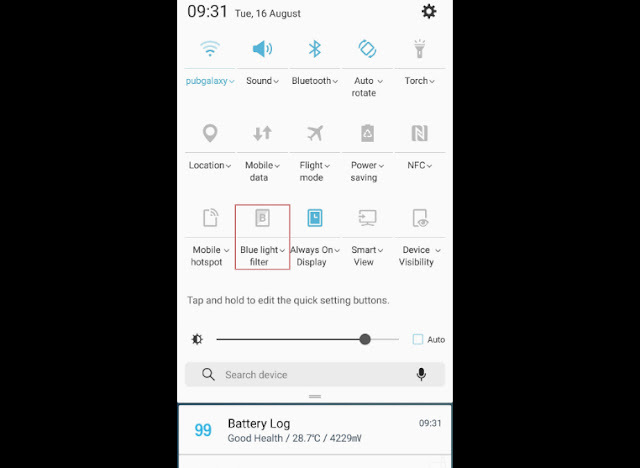 you may want to enable the Edge lighting feature on the Note 7 in Settings > Display > Edge screen > Edge lighting. This will let you set a particular color for each of your favorite contacts, and the screen will glow in that color when you receive a call or a notification. If you attend meetings often (which is one of few good reasons to have the phone face down in the first place), you can also set custom quick replies for these priority contacts in Settings > Display > Edge screen > Edge lighting > Quick replies. Best of all, you can reject incoming calls and such with your newly set quick replies by just holding your finger on top of the heart rate sensor at the back. 20. Meme powers over 9,000! Beyond the hardware improvements available with the Note 7's S Pen, new software features are also there for those looking to make the most out of the stylus. For example, thanks to a new perk within Smart Select, you can crop certain portions of your screen and record a gif (say, of a video). Congratulations, GIF Master Awesome. Go claim your glory! Another neat new feature, especially if you're regularly browsing websites in languages you're not completely fluent in, is the S Pen's new Translate trick. Just launch Air Commands > Translate and then hover over any word you want translated. Most common language pairs are available, but you need to set them beforehand. 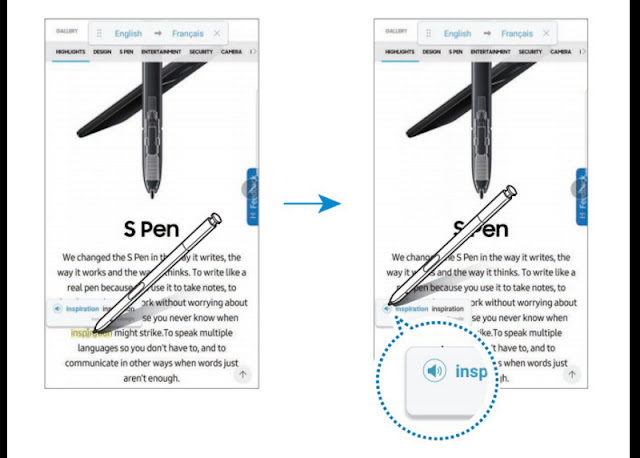 Another situational S Pen feature that might come in handy when you're planning your next trip, for example, is Glance. The way it works is as follows: you launch a given app, say Google Maps, and then launch Air Commands and select Glance. This will reduce it to a thumbnail in the lower right corner. Now you can browse a holiday booking site alongside, and just hover over the thumbnail to see the map in full size again. Hovering away from the screen will minimize it once more. For our final trick, we recommend that you have one of them awesome Samsung wireless chargers for maximum effect and cool points. Called Night clock, it turns your Note 7... into a night clock. Pretty trivial overall, but useful if you're a light sleeper and wake up often during the night, wondering about the time. 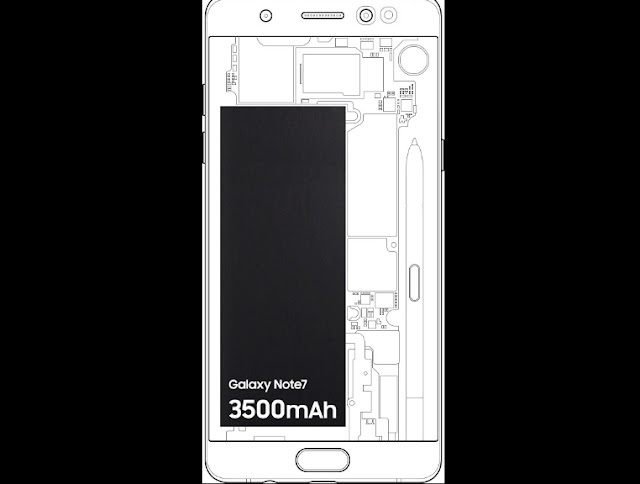 Paired with the wireless charger, the Note 7 will be suspended mid-air through the magnets, helping with visibility. 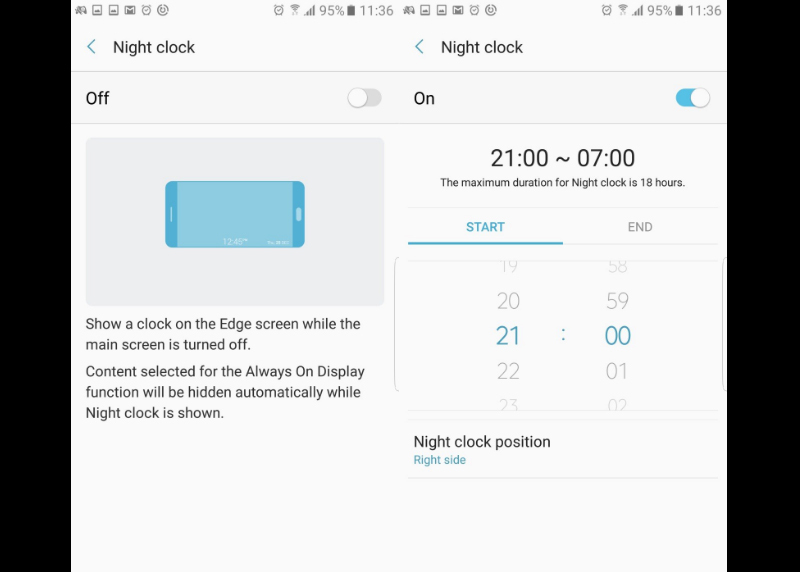 To active, go to Settings > Display > Night clock.